A LOBSTER is dismayed to have ended up in the frozen food section of Lidl, he has confirmed. Marine crustacean Tom Logan said that being hauled out of the sea then frozen to preserve his succulent flesh was bad enough, but at least he could have been sold in a classy shop. He said: “I was hoping for Fortnum & Mason or at least Harrods’ food hall. “But here I am, in Swindon’s second-largest Lidl, trapped in suspended animation as people with multiple chins ogle me and make vague grunting noises. 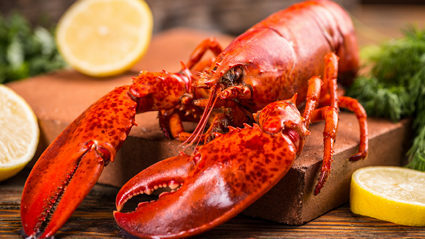 “The life of a lobster is a short and unhappy one, but at least you are reasonably confident of being eaten in a large tasteful house, washed down with fine wines. 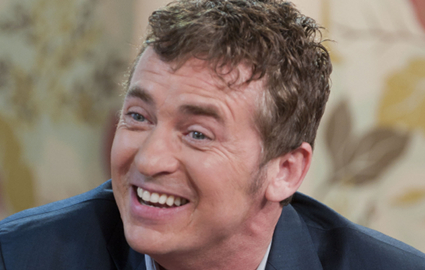 DONALD Trump has slammed the writing and release of Shane Richie’s autobiography From Rags to Richie. The president-elect said the celebrity memoir was ‘salacious nonsense and completely untrue’ and blamed US intelligence agencies for releasing it into discount book shops. Richie hit back saying that every word the book is true, from his humble beginnings as a dustman’s son to becoming ‘the don’ of prime time soap opera. He said: “It’s all real, including my tumultuous love affairs with a bevy of beautiful women and my early showbiz career as a Butlin’s redcoat.